As you can imagine the opportunities for AI to be applied in the workplace are seemingly endless. 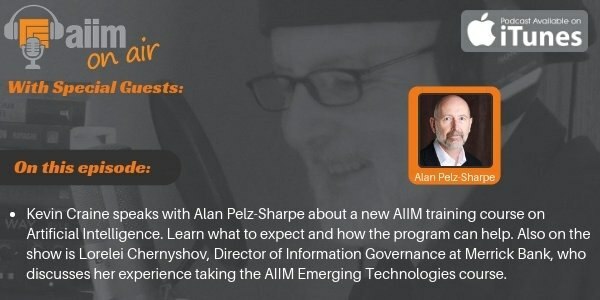 Which is why AIIM teamed up with Emerging Technology expert Alan Pelz-Sharpe to design a training course around the use of AI for information management. 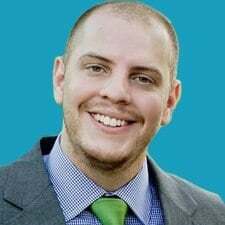 To get a deeper understanding, AIIM's podcast host Kevin Craine sat down with Alan to chat about the development of the course and his thoughts on the future of AI in business. Also on this episode, Kevin gets an insider's view of the course when he talks to Lorelei Chernyshov, Director of Information Governance at Merrick Bank, who discusses her experience taking the AIIM Emerging Technologies course and how it inspired her to learn more about AI.